SuitSupply's new collection came out a couple of weeks ago, and I suppose it is pretty much business as usual. CQ praising it a work of art is the marketing department talking, but I must say overall it looks more restrained (read: better) than usual, seemingly offering several great-looking basic pieces to a man's fall winter wardrobe. Now, we know they keep adding stuff all the way to the end of the season, but as everyone seems to love lists and rankings nowadays I thought what the hell, why not list some of my favorites. So, here's the five most interesting items I picked out while drinking today's morning coffee. So, why this one? It's definitely not the easiest of jackets to pull off, but when paired with the right pair of trousers (deep burgundy cords or moleskin trousers for example), a white shirt, a dark red tie and a toned down pocket square I think it would make a fantastic fall look. If you have a pair of tortoise frame specs and/or a manly beard even better. If you're in the market for a dramatic fall look and happen to work in a bank, this one's a good alternative. 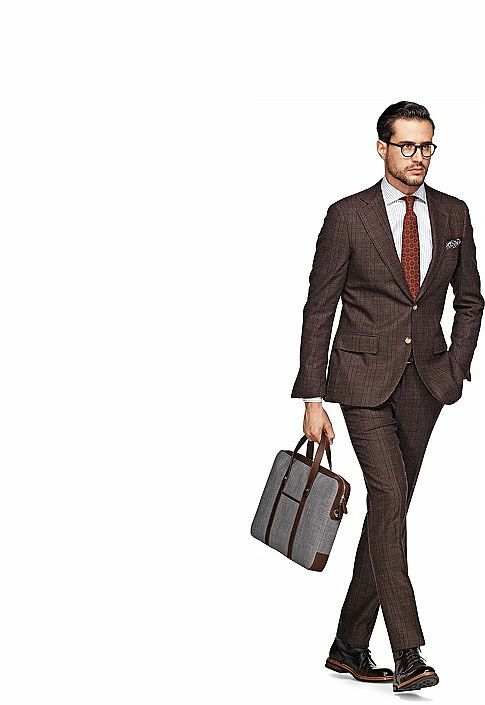 Rust-colored wool tie, toned down pocket square, white shirt and a pair of dark brown or burgundy oxfords will do the trick, and remember to get a proper (preferably bridle leather, try this) CEO's briefcase to top it off. Just stay away from heavier derby boots the model has been "styled with" here. 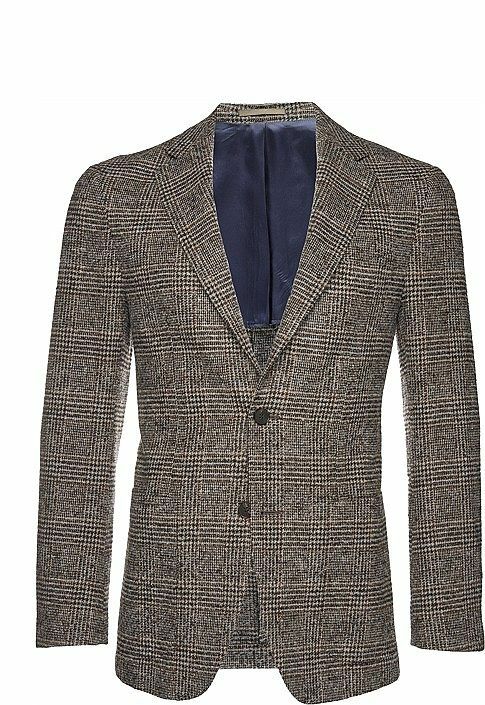 If you have all your wardrobe basics ticked for the upcoming seasons, this Lazio might be a good alternative to the plain grey and navy suits. 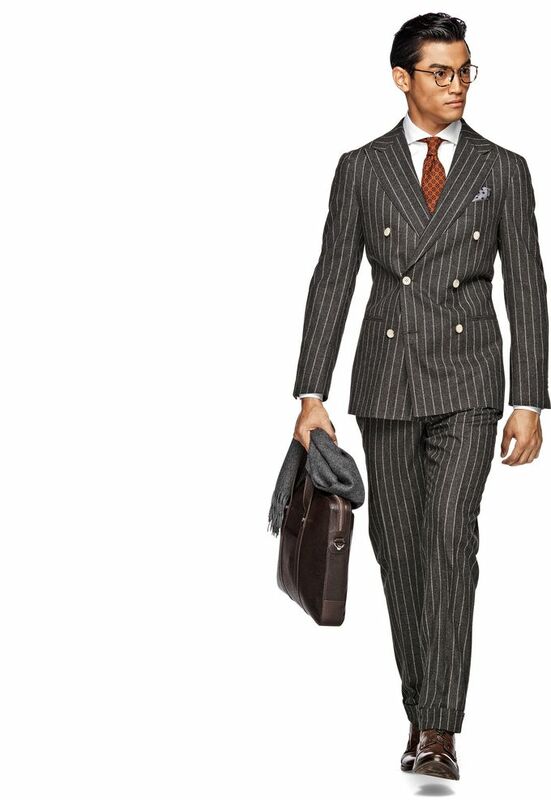 Again, those boots would be more at home with a pair of jeans, but if you wear this with somewhat muted and toned down pieces (the suit's pattern is enough oomph, trust me) you'll have a pretty good-looking fall suit. Now here's a great one. I've personally been thinking about pulling the trigger with this Havana for some weeks now. The color in my opinion is pure genius, but due to some issues with how the Havana fits me I've been a bit hesitant. That aside, I think this jacket would make a fantastic jacket for dozens of different kind of outfits. Dark denim, navy cords, grey flannel.. Pretty much everything is going to look great with this fabric. At least for me, fall is all about dramatic colors and warm fabrics, but it is also the season when you sometimes just want to wear something a bit more casual. 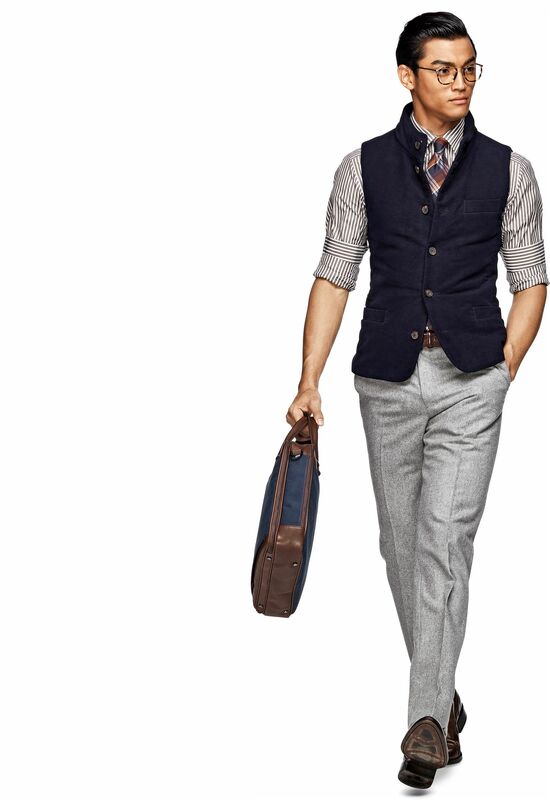 For the early fall when the temperatures won't be too low yet, a warm vest is a great piece to have. When you take your dog out, go to the store and maybe the gym, throw it on a shirt or a knit and you'll have a good-looking look without really having to think about it at all. As the temperatures fall, just add an overcoat and play it the same way. If I didn't already have a very similar navy cashmere vest and if it wasn't listed for such a rip-off price (149 Euros for this?) I'd get this in a heartbeat. 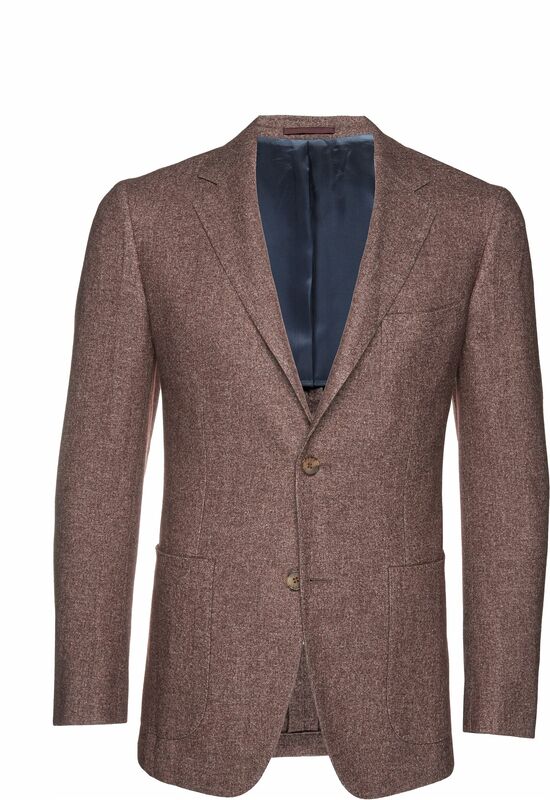 On top of the listed items I must say SuitSupply's overcoat selection is starting to look pretty good. The prices are also quite reasonable, so if the fit is right for you it'll be a challenge to find anything made from similar fabrics for less than 400 Euros. All the pictures in this article are from www.suitsupply.com.